The ancient market town of Bampton lies in the south of the area, not far from the River Thames. Until about 1850 it stood in the centre of a large area of common land, hence its name ‘Bampton in the Bush’. The name, meaning Beam-tun (the settlement by the tree or cross), was a major late Anglo-Saxon centre. It was the focus of a royal manor, and site of a ‘minster’ church. At the time of the Norman Conquest, it was one of the three largest settlements in the county. And, in the Domesday Book of 1086 there is already mention of a market. The town enjoyed amazing prosperity in the early middle ages. Then much of its wealth was based on wool though later on there was also textile and leather working. 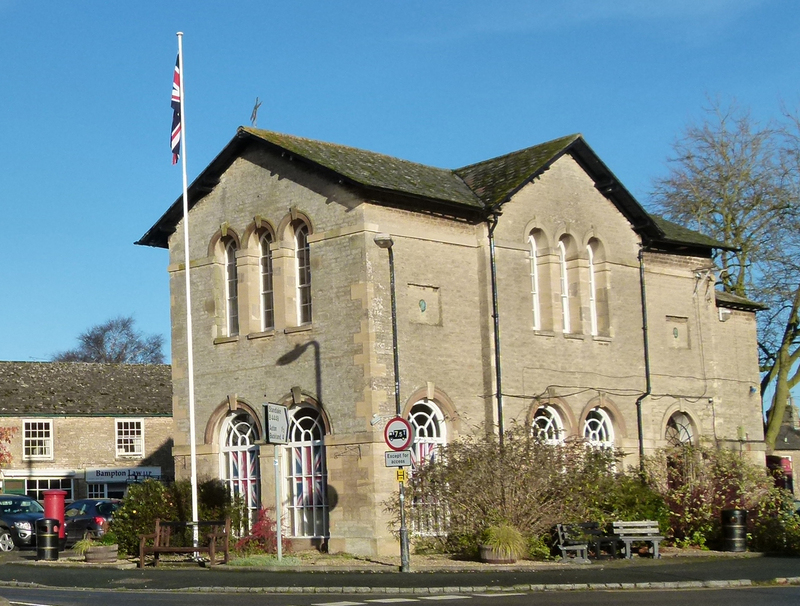 The community is lively with a good array of amenities including West Ox Arts Gallery, which is housed on the first floor of the town hall right in the centre of the village and has a rolling programme of exhibitions of various art forms. For generations Bampton has been famous for its Morris Dancing, a tradition which may be 600 years old! Enjoy a feast of dancing during the annual Bampton Day of Dance in May. There is also a well-established classical opera, with a national reputation, which produces lively and accessible productions of exceptional music. Bampton Classical Opera has an annual performance in the grounds of the Deanery. The company also performs in St John’s Smith Square in London and in Wigmore Hall, as well as other Oxfordshire venues. They present late C18th lesser-known work, and perform them in English. The Deanery dates from the C12th and has remains of an underground chapel. It has beautiful gardens and a curved Yew hedge which is the backdrop for the stage. The sights may seem oddly familiar to some first time visitors – it was used for filming the village scenes in the popular TV drama ‘Downton Abbey’. 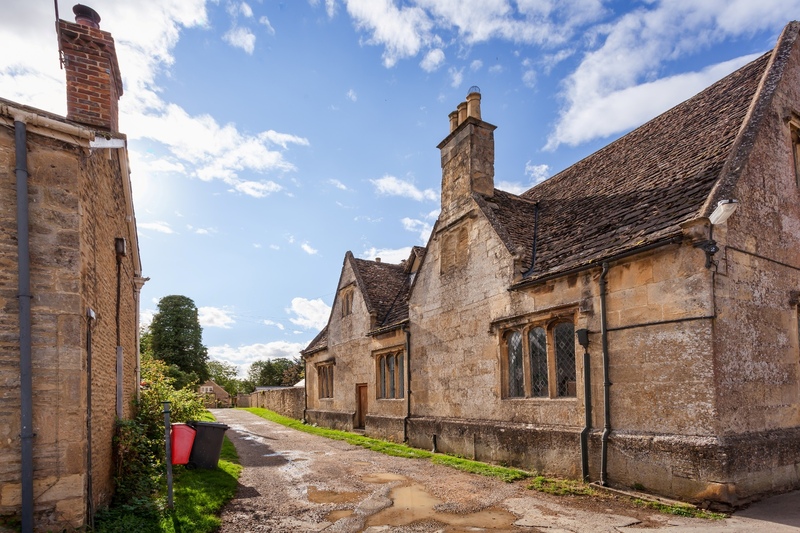 The old Grammar School Building, which houses Bampton Community Archive, has an impressive collection of old photographs of the town and its people. It served as the ‘Downton’ hospital and St Mary’s Church. The impressive 170ft spire provides one of the landmarks of the upper Thames Valley, also featured prominently. It dates from the 12th century and it hosted a number of dramatic ‘Downton’ moments including a jilting at the altar! St Mary the Virgin stands on the site of an Anglo Saxon, pre-conquest, Minster. There is traditional herringbone stonework in the west tower and stair turret. It is thought by some that the church sustained damage during the Civil War between Stephen and Matilda. This may have been at the siege of Bampton 1142. But, whatever the reason, the church was much rebuilt in the later C12th. The broach spire and aisles were added in 1270. 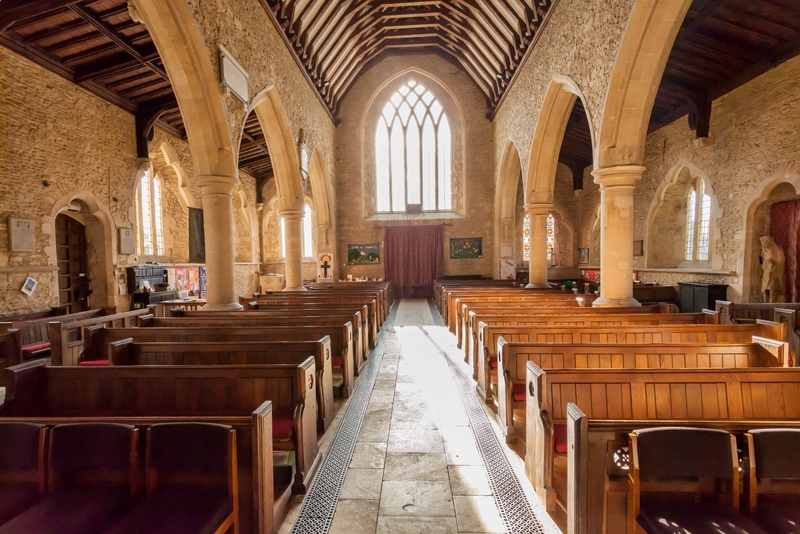 A little drive from Bampton is St Oswald’s Church in Widford in the Windrush Valley. The church is mainly C13th but there are earlier remains and is on the site of a Roman building, perhaps a temple? There are mosaics on the site and the remains of a medieval village nearby. Like St Peters at Bradwell in Essex, all that remains of the ancient community is the isolated church in a field. 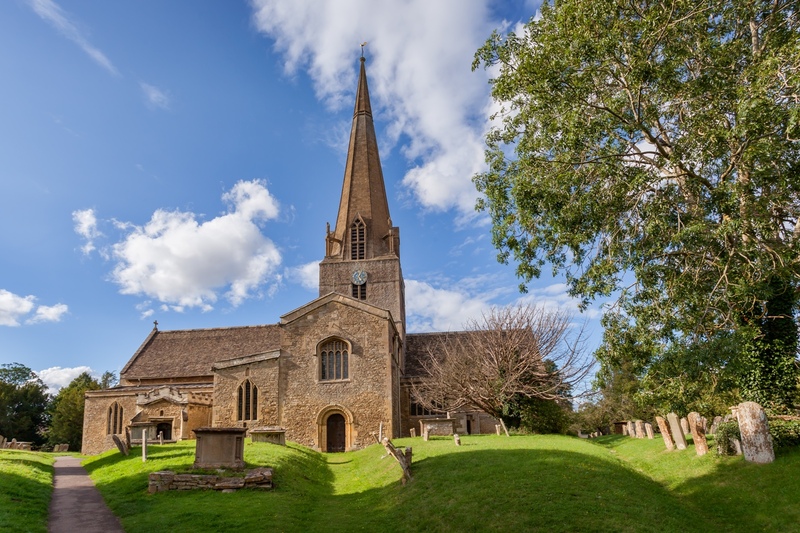 Bampton is a great base to start some enjoyable walking, whether it’s a circular walk or a town walk. 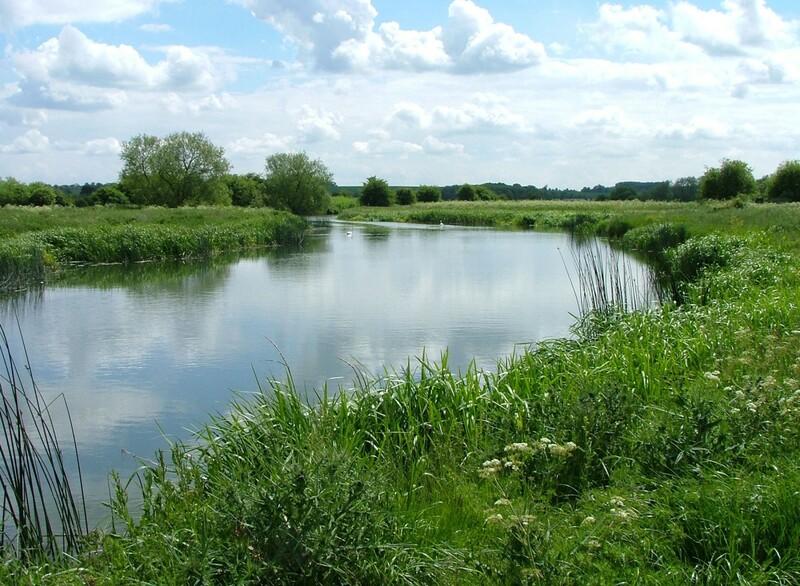 Why not take a trip to nearby Chimney Meadows Nature Reserve? This reserve is of national importance for its species-rich wetland meadows covering 250 ha of the Upper Thames floodplain.